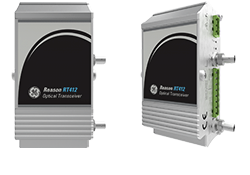 Reason RT411 - Time Signal Distributor The Reason RT411 Time Signal Distributor is the most cost effective way to synchronize multiple devices in the substation. It works as a time signal transceiver providing up to 20 time outputs from a single input, such that the expense of installing multiple GPS antennas in the substation is avoided. Reason RT412 - Optical Transceiver The RT412 is an electrical-optical or optical-electrical time synchronizing format converter whose characteristics allow multiplication of GPS clock outputs, and distribution of time synchronizing across the substation where there are significant distances between panels. Reason RT430 and RT434 - GNSS Precision-Time Clocks RT430/434 is a GNSS clock referenced to GPS and GLONASS satellites, whose main application is to be a source of temporal synchronization signals in different formats and protocols to synchronize internal clocks of equipment and systems based on digital processing. 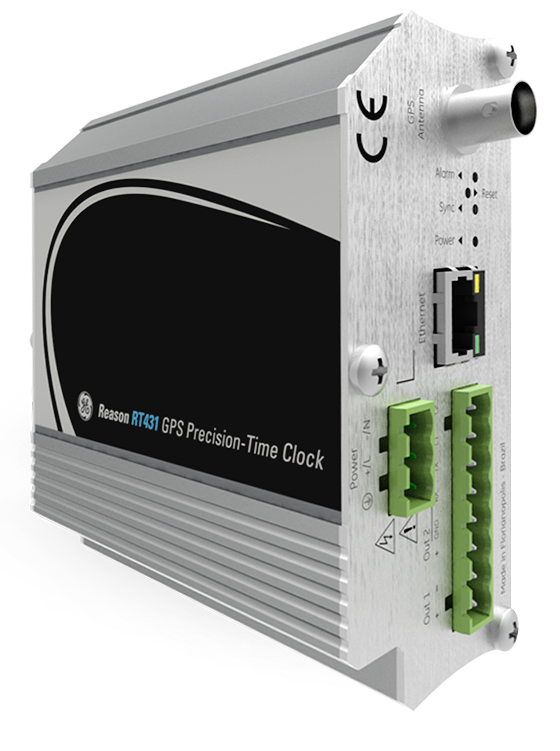 Reason RT431 - Time Code Generator RT431 Time Code Generator is a compact GPS-based clock designed to be installed on a DIN-rail that supports the IEEE 1588v2 Precision Time Protocol (PTP). When configured as PTP slave, RT431 also works as a transceiver from PTP to IRIG-B, serial or pulse time codes, enabling the use of PTP on IEDs that do not support this protocol.